My skin has been struggling with more breakouts than I'm comfortable with these past few months, so I've been working on stepping up my skin routine to try and get it back in control. So far, this particular skin routine has been my go-to, and I felt like sharing it. 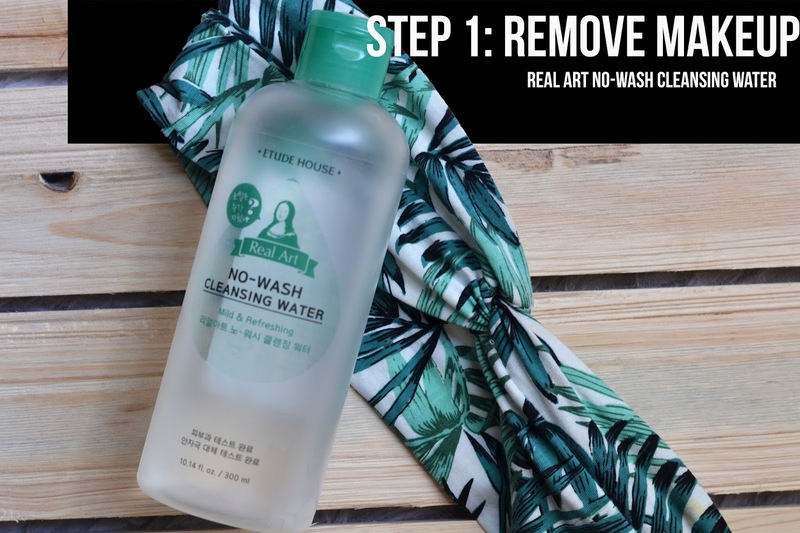 So first up, got to remove my makeup from the day, and for that, I enjoy using this cleansing water from Memebox. I've reviewed it before on my blog (HERE).You'll get a more thorough review on this particular product there, but suffice it to say that I love it, it works great, and it smells so good! 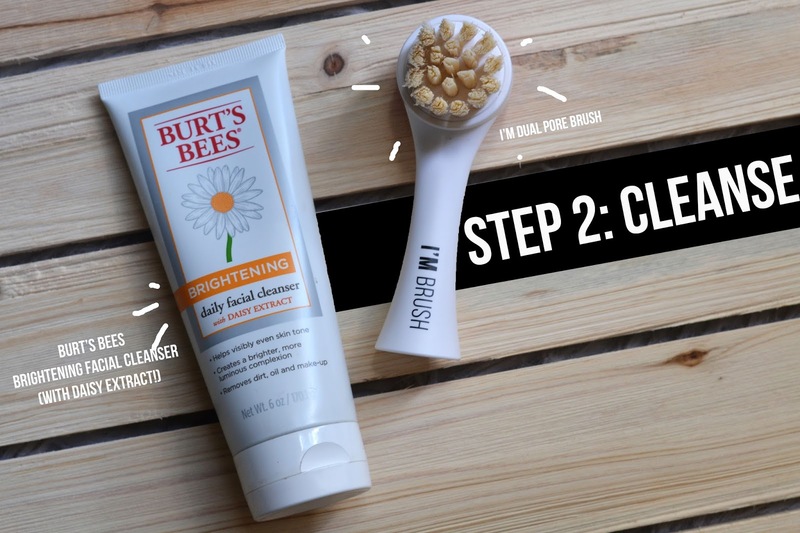 Now, that cleansing water may work as both a makeup-remover and facial cleanser, but I prefer going over my skin again with this gentle, daily cleanser from Burt's Bees. Paired with this amazing new tool I ordered from Memebox, my skin has been feeling wonderful! 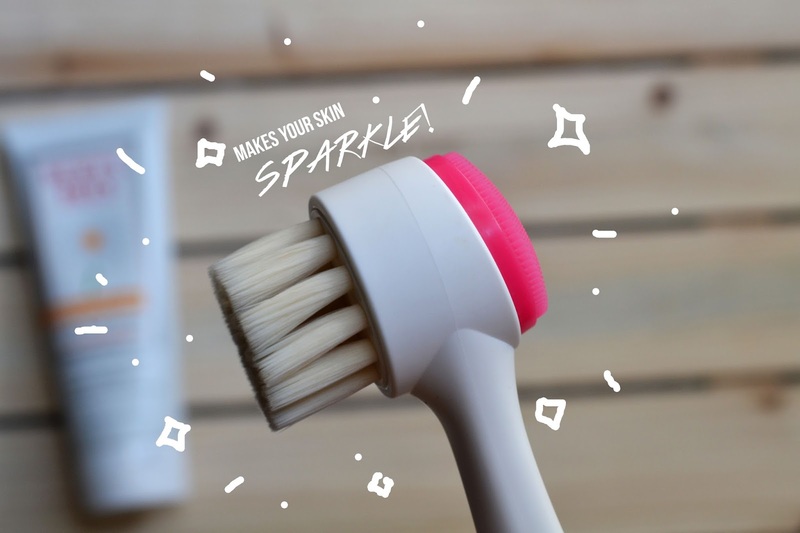 It's the I'm Dual Pore Brush, with soft bristles on one side and a more scrubby side for rough spots on your skin. AKA: my skin's new BFF. 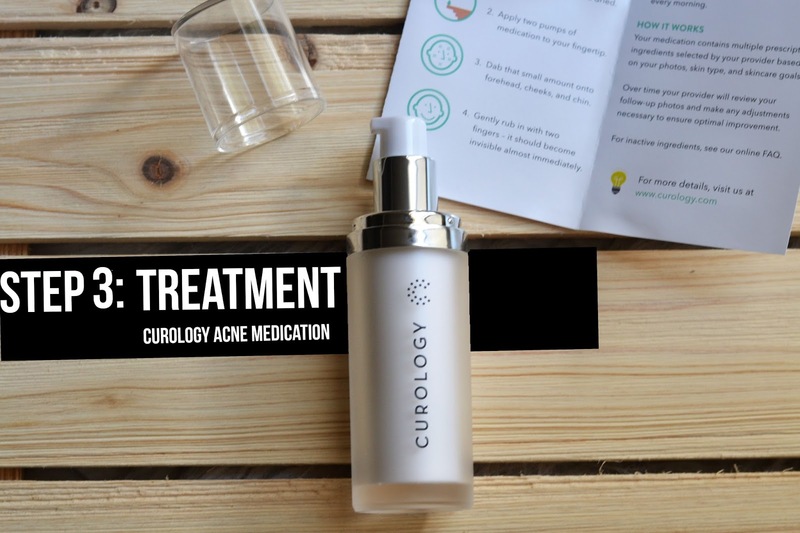 Finally, I decided to test out a trial bottle of acne treatment from Curology. They're an online acne service that through a questionnaire and some photos, matches you up with a dermatologist (online) who puts together a medication tailored to your specific skin problems. For $19.95/month, you get free consultations, your medication shipped straight to your door, and free shipping. Haha, only do it if you feel like it, I just know that since I used one, maybe others would like to have that option as well! I've only been using this for a few days honestly, so I'll be saving a more thorough review on it later after I've given it enough time to see results. Hopefully it works out well! To end my nightly skin care routine, I always moisturize. 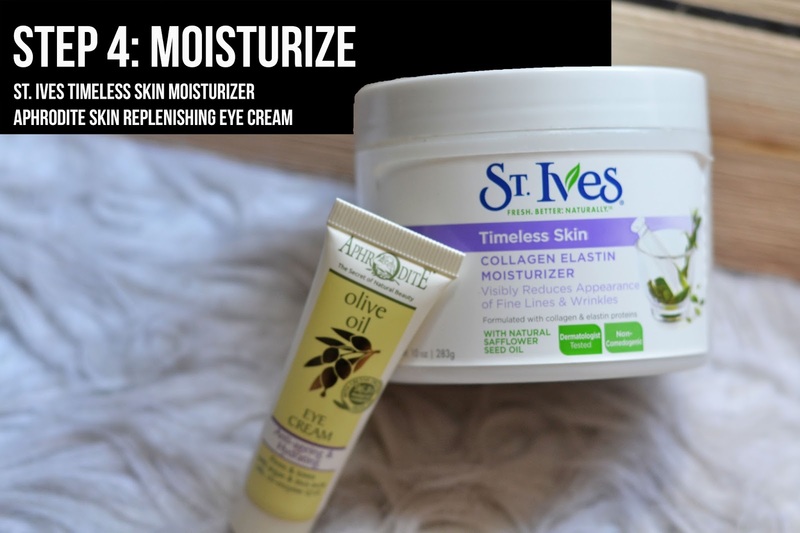 I use a cheap yet effective St. Ive's anti-aging moisturizer and apply it all over my face and neck before going back in with this eye cream from Aphrodite Skincare. Gotta take care of your skin while you're young! So on weekends, I like to spend a little extra time on my skin and add a couple extra steps. One of those is a face mask. 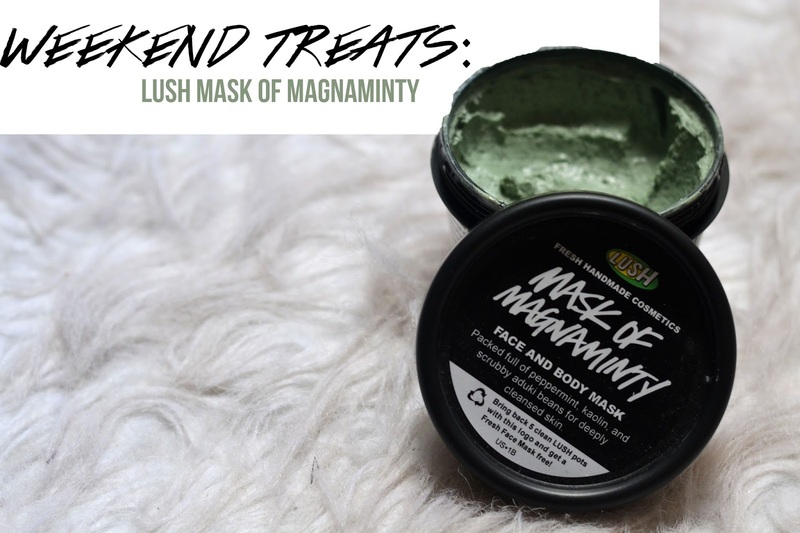 A new favorite I finally tried out is this mask from Lush. It. Smells. So. Damn. Good. I smear this on my face and almost don't want to take it off. Almost. But then the green goo dries and I start noticing green specks falling off my face and I surrender to the inevitable washing. Finally, another new addition to the skincare routine. 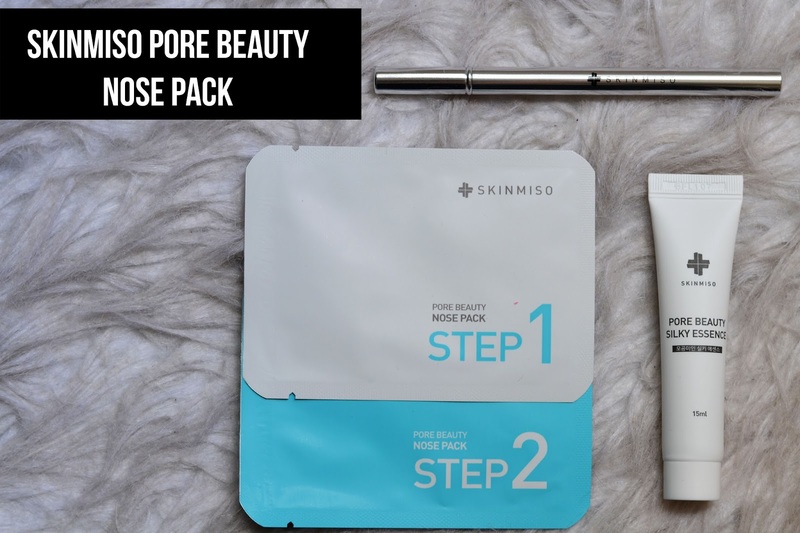 This pore treatment from SkinMiso was a delight to test out. It has a two-step nose strip system accompanied by a blackhead remover tool (what they've labeled the Comedo Remover) and what's basically a pore moisturizer for your nose. The first nose strip goes on for 10-15 minutes and opens up your pores and draws up the blackheads. 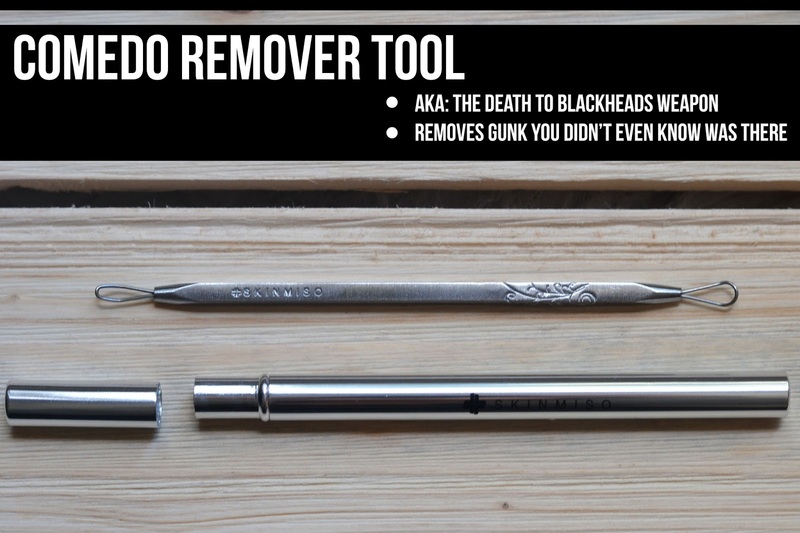 Then you go in with the comedo remover. I honestly didn't think I had that many blackheads in my nose, but holy cow...based on the white gunk that appeared at the end of the needle's loose, I must've been in denial! Next you apply the second nose strip for 15 minutes, which helps tighten up your pores to prevent dirt from re-entering and gives a more poreless appearance. Finally, the Pore Beauty Silky Essence gets applied. It feels very soothing and smells quite pleasant. So now you've made it all the way down here, guess what? 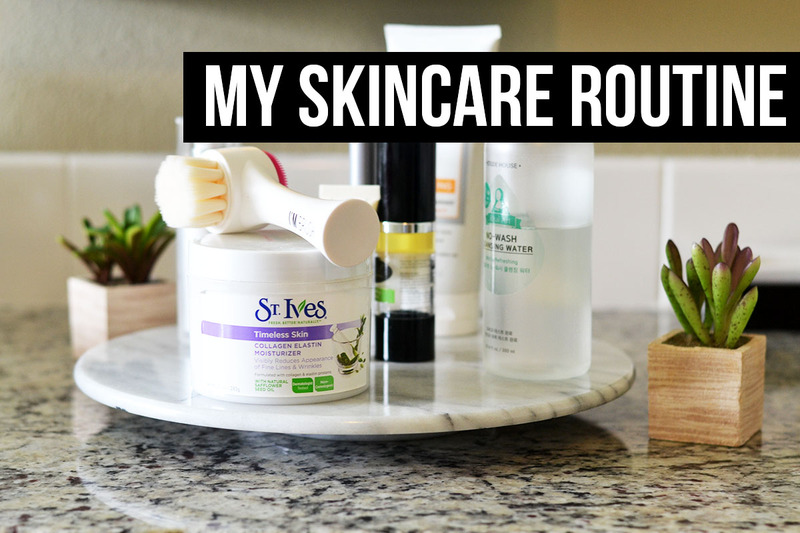 I also filmed this into a skincare routine video! AKA: I just like making more work for myself. Which do you prefer, blog post or video? I'm curious to know! So that is my skin routine as of late! I enjoy testing out new products and will get back to you on how the Curology treatment works out, but let me know if you have any of your own experiences with these products. I'd love to know what some of your holy grail skincare items are!